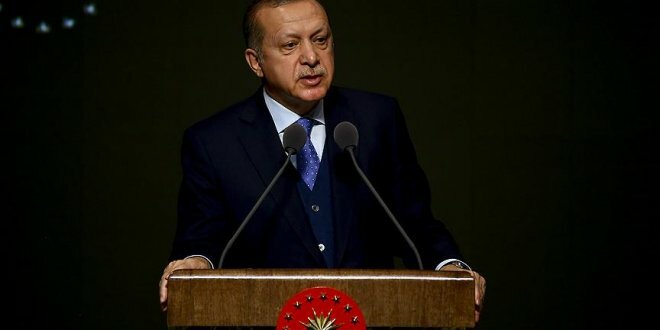 Turkish President Recep Tayyip Erdoğan called the country’s largest association of medical professionals “terrorist-lovers” after it had called for peace, nationalist newspaper Yeniçağ said. The professional association had never spoken out against terrorists killing innocent Turkish citizens, Erdoğan said. The President of the Istanbul Medical Association, which is affiliated to the Turkish Medical Association (TTB), issued a response to Erdoğan’s comments saying that opposing bad wars was “patriotism”. “When the life and death of Turkish soldiers is at stake in a war or conflict, and the life and death of our neighbours’ children are also at stake, it is never ‘non-national’ for a doctor to say it is better to try for peace without war,” Selçuk Erez said. Cumhurbaşkanı Erdoğan, Afrin'e başlatılan Zeytin Dalı Harekatı'na 'Savaşa hayır' ifadeleriyle karşı çıkan Türk Tabipler Birliği'ne "Terörist seviciler" sözleriyle tepki gösterdi.